The Labour Day weekend is a popular time to get out of town one final time before the fall hits, but countless Vancouver independent music fans have stuck around their city the last several years to check out the annual Victory Square Block Party. With just a couple of weeks to go before the September 2 outdoor concert, held in the Downtown Eastside's Victory Square, organizers have let loose the locally minded roster for this year's event. This year top billing goes to the energetic nu-soul ensemble the Ballantynes, though other acts set to appear include Indian Wars, Mode Moderne, Manik 1derful, Too High Crew, Weed and Love Cuts. Spicing things up from the contemporary indie, rap and punk outfits that tend to stack the schedule, aboriginal drum group Blue Whistling Horse will open the show. The Vancouver Soul Club DJs will spin between sets, and comedian Ryan Biel will play master of ceremonies. 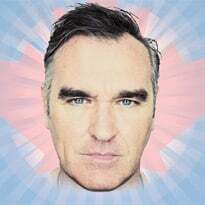 "Every year the Victory Square organizers strive to celebrate the amazing talent in this city by curating a diverse lineup of some of Vancouver's most promising independent artists and 2012 will be no exception," festival organizer Mike Gittens said in a statement. 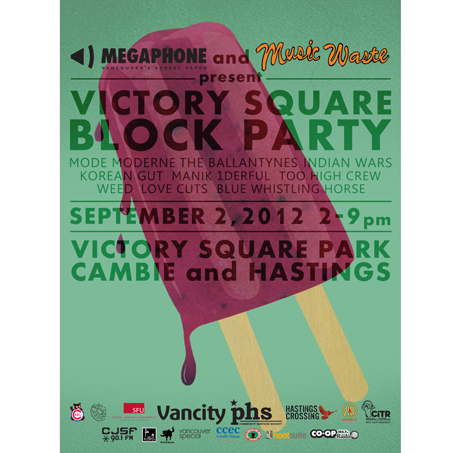 The Victory Square Block Party is co-presented by D.I.Y.-supporting Music Waste program and Megaphone, a Vancouver publication dedicated to issues in the Downtown Eastside that's sold by homeless and low-income vendors.